Hey, Tough Guy. 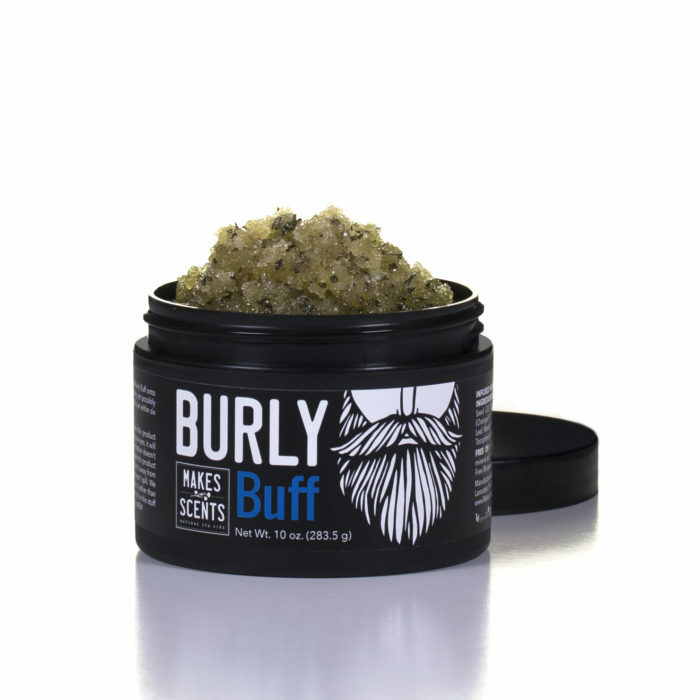 Even manly men’s hair needs a little TLC to look its best, so treat yours right with Burly Locks Beard & Hair Oil. Its non-greasy formula tames even the wooliest of beards and unruly hair. And it smells oh so good with invigorating peppermint oil, calming orange peel oil, soothing cedarwood oil, and healing tea tree oil. Show your noggin and mug hair some love with this nice-smelling, easy-to-absorb hair and beard oil. 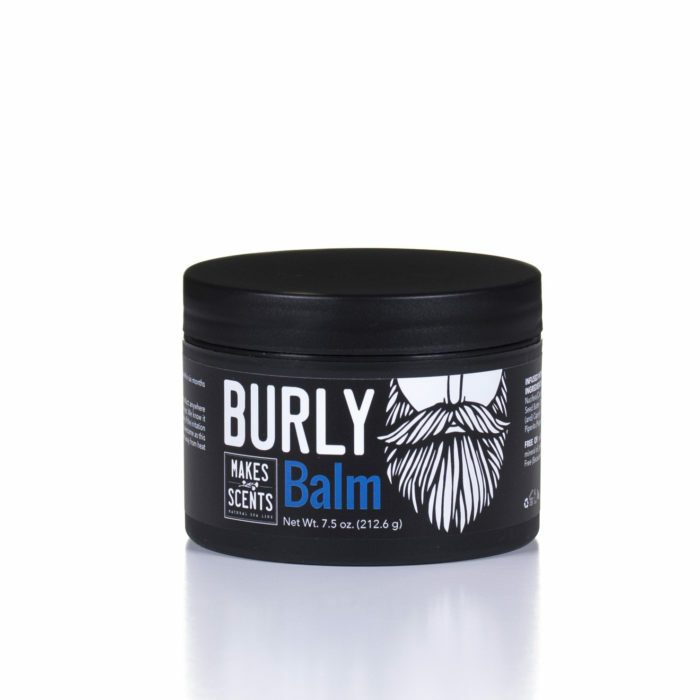 USE: Rub 2-3 drops of Burly Locks Beard & Hair Oil into your burly locks and/or beard. Use this jar within six months of opening it. WARNINGS/CAUTIONS: Even if double-dared, do not use this product anywhere other than your burly locks—especially not in your eyes. Do not eat it. Stop using it if it irritates your skin or manly scalp. If the irritation doesn’t go away, forget being macho and go to the doctor! And remember, this product isn’t made to cure, treat or prevent any diseases. Close the lid so it doesn’t spill, and store it away from sources of heat and flames, such as campfires and wood stoves. 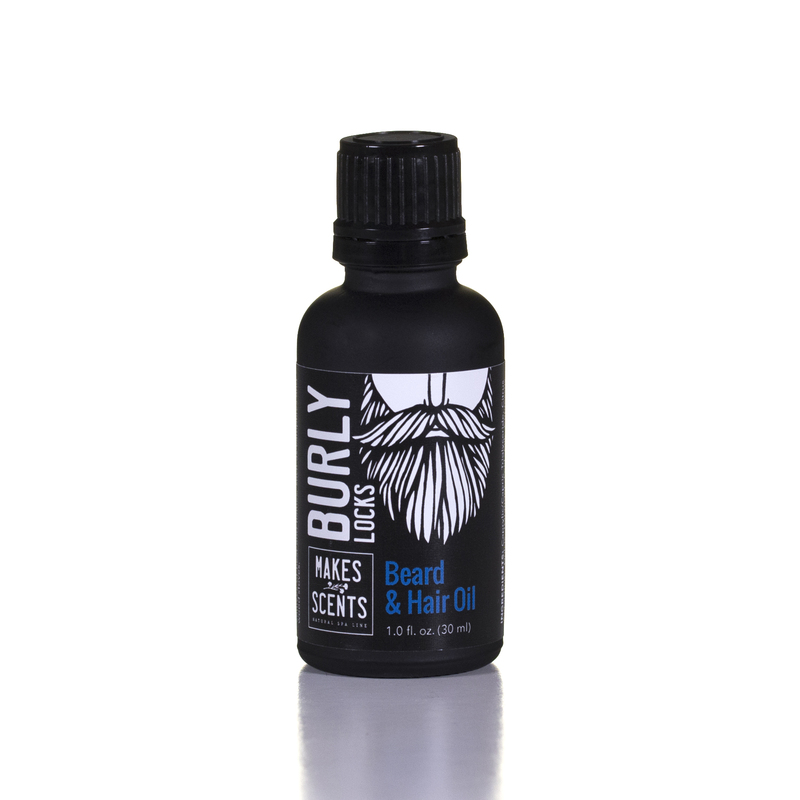 Be the first to review “Burly Beard & Hair Oil” Click here to cancel reply.